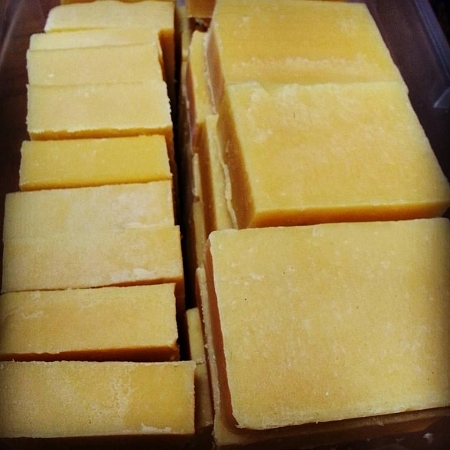 Refreshing, mood lifting, relaxing Lemongrass essential oil in our popular cold process soap base. Also a fantastic insect repellent and perfect for children. Lemony, herbaceous ... this soap smells SO GOOD. Combine with our Lemongrass Body Butter for exceptional insect repellent power!